The USTA and United States Davis Cup Captain Jim Courier have announced that Jack Sock, Sam Querrey, Steve Johnson, Mike Bryan and Frances Tiafoe will represent the U.S. in the 2018 Davis Cup by BNP Paribas World Group Semifinal against Croatia. The best-of-five match series will be played on an outdoor red clay court at the Sportski Centar Visnjik in Zadar. Marin Cilic, Borna Coric, Franko Skugor, Ivan Dodig and Mate Pavic were nominated to Captain Zeljko Krajan’s Croatian team. ►The U.S. is in the semifinals for the first time since 2012 and is vying for its first appearance in the Davis Cup Final since 2007, when it won its 32nd and last championship. ►Davis Cup is in the final year of its current World Group format before it implements its newly approved ‘World Cup of Tennis’ format in 2019. ►Mike Bryan returns to Davis Cup competition, and without brother Bob, who is recovering from hip surgery. The brothers had previously announced their retirement from Davis Cup play following the U.S.’s last meeting with Croatia in the 2016 World Group Quarterfinals. ►Twenty-year old Frances Tiafoe is nominated to his first U.S. Davis Cup team. ►Croatia is the only nation the U.S. has not beaten in Davis Cup (0-4). Play begins with Friday’s first two singles matches at 11:00 a.m. local time (5:00 a.m. ET) on Sept.r 14. Saturday’s doubles match is scheduled for 2:00 p.m. local time (8:00 a.m. ET) on Sept. 15, while Sunday’s final two singles matches, if necessary, are scheduled for 11:00 a.m. local time (5:00 a.m. ET). Tennis Channel will provide live daily coverage in the U.S. Sunday will feature a revised schedule if a team clinches in the third or fourth match. All matches are best-of-five sets until one nation clinches the tie. The winner of this tie advances to the World Group Final, where it will face the winner of France and Spain, Nov. 23-25. The U.S. would host either nation in a World Group Final, which would be the last under this current World Group format. The U.S. advanced to the Semifinals by defeating Serbia, 3-1, on the road in February’s First Round and Belgium, 4-0, in Nashville in April’s Quarterfinals. Querrey helped lead the U.S. to victory in both ties, with live singles victories in each round. Johnson was a part of the clinching doubles team in Serbia and recently reached his third ATP singles final of 2018 at the US Open Series’ Winston-Salem Open last month. Sock helped clinch the Belgium victory in doubles, and since then he and Mike Bryan have teamed up to immediate success, winning the Wimbledon doubles title and reaching the U.S. Open quarterfinals. 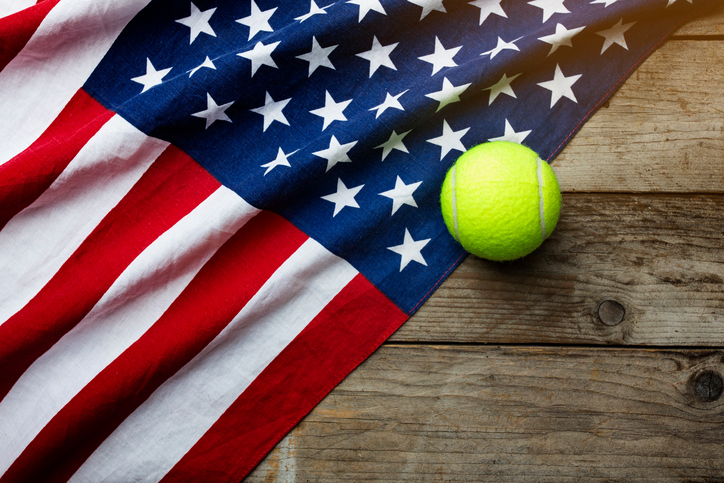 Mike is the U.S. Davis Cup team’s all-time winningest doubles player but hasn’t played Davis Cup since he and Bob announced their retirement from the team competition following the U.S.’s loss to Croatia in the 2016 World Group Quarterfinals. The Bryans were 24-5 together in Davis Cup doubles. Mike is 26-5, having picked up two additional wins alongside Mardy Fish (2008 Semifinals vs. Spain, d. Verdasco/F. Lopez; 2012 First Round vs. Switzerland, d. Federer/Wawrinka). The 20-year old Tiafoe is nominated to his first Davis Cup squad. He is the youngest player nominated to a U.S. Davis Cup team since Ryan Harrison, who was nominated as a 17-year old in 2010 and made his playing debut in 2012 at 19. Only Harrison and Andy Roddick (18 in 2001) were younger at the time of their first nominations in the last 20 years. Former USTA Boys’ 18s national champion Patrick Kypson and Ulises Blanch will be traveling with the team as practice partners. Croatia holds a 4-0 record over the U.S. in Davis Cup competition and is the only country that the U.S. hasn’t beaten in Davis Cup. The two countries last faced off in the 2016 World Group Quarterfinal in Portland, Oregon, with Croatia winning the tie, 3-2, after trailing 0-2 after the first day of play. The two nations also met in 2003 in Zagreb, in 2005 in Los Angeles, and in 2009 in Porec.